The BIZ Organizer offers you a variety of solutions to gain and maintain order, clarity and harmony in your professional and personal life. Our approach is effective and stress-free. 1. DEFINE: First we connect with you during our Introductory PHONE Consultation to understand your challenges, define your goals, and determine the best organizing strategy for you. 2. DESIGN: We visit you On-Site to assess the full scope of the organizing project; design and develop a Customized Action Plan specifically for your needs. In order to optimize our time together, we come prepared to begin the project on that day. 3. IMPLEMENT: The implementation of your organizing project is achieved through the execution of your Customized Action Plan. Efficient methodical hands-on organizing sessions are utilized to achieve the maximum results. 4. MAINTAIN: So that you can enjoy the freedom of being organized, we empower you with skills and systems to maintain your ideal organized life. We also offer a Maintenance Plan with built-in “tune-up” sessions to help keep you on track. Whether you work from home, a corporate location, or “on-the-go”, your office is the physical focal point of your business success. If it’s cluttered, crowded, and disorganized you feel overwhelmed and often stagnant. We work with you to create a work space that helps you feel energized and ready to meet your goals. 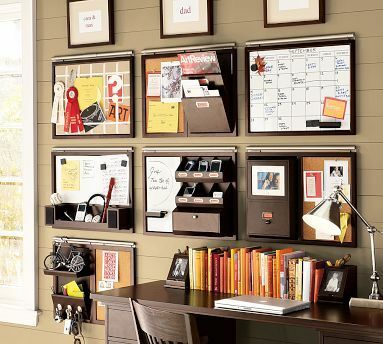 Achieve a fresh, de-cluttered, and productive work space. Maximize the utilization of space, furniture and equipment. Reduce and simplify your flow of paperwork and mail. Create and / or organize your filing systems. Feel empowered because you can access what you need when you need it. Have you ever had the feeling that your company could be more successful and prosperous if you weren’t so busy with the day to day running of your business? Sometimes it takes a pair of “fresh eyes” to observe your current way of doing things and recommend systems to streamline and re-charge your business so that you can get more clients and improve your bottom line. Implement systems to improve productivity. Develop processes to maximize your work flow and creativity. Create a Policies & Procedure Manual customized to your business. Design essential efficiency forms tailored to your business. Categorize your expense receipts in preparation to meet with your accountant. Gain peace of mind about maximizing your time, energy, and capital. Are your closets so overstuffed and disorganized that you actually re-purchased something because you could not find it? Or perhaps you or a family member is downsizing, relocating, or simply ready to get rid of the clutter. Get clarity by sorting and seeing what you actually have. Release unwanted items that are taking up your valuable space and energy. Set up visually appealing and easy to use systems to simplify your routine. Acquire new skills to happily maintain your beautifully organized closets. 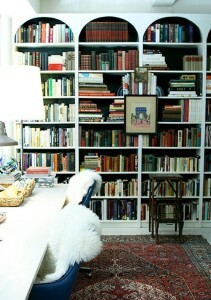 De-clutter and prepare your home to be sold or vacated. Many clients have higher end items that they no longer need. The clothing, footwear, accessories and more are not only very well-made, but quite pricey. Rather than simply donate these items, The BIZ Organizer offers services to help you recoup some of your initial investment. Locate, research, call and/or visit, then determine which Consignment Shops are best suited for the items you need removed. Review and take up to 100 of your Consignment items (that you have set aside) to the “First Choice” Consignment Shop on our list. Meet with Consignment Associate to examine each item and determine which items they will accept. Then review and confirm the Consignment Agreement on your behalf. For all of the items that the “First Choice” Consignment Shop will not take, visit the “Second Choice” Consignment Shop and repeat the previous step. For all items that the “Second Choice” Consignment shop will not accept, take the remaining items to a charitable organization (i.e. Goodwill, St. Vincent’s de Paul, etc.) to be donated on your behalf. Obtain your tax receipt from the charitable organization and mail it to you along with your Consignment Agreement(s). After working with countless satisfied clients over the years to get their business and personal spaces in order, many of them expressed a need for help with other areas that required specific assistance. Our Specialty Projects may be exactly what you are looking for too. Book Writing Organization and Preparation: Is there a book ‘in you’ just waiting to be written? Do you have tons of notes, information, and ideas but you’re not sure how to organize them. Are you ready to finally get that book out of your head, on paper, then out into the world? We can help. Library Organizing and Cataloging: If you needed a particular book, or DVD, or CD would it take you less than 3 minutes to find it? Have you ever loaned out one of your favorites and have no idea who you loaned it to? Do you have so many books, or DVD’s or CD’s that you are clueless about what you have and wish you could enjoy your own personal library? We can help. Extensive Research Projects: Do you need verifiable facts and information to complete or enhance your web or blog content, business portfolio, or indepth project? We can help.